Diarrhea Planet’s Turn To Gold opens with an introduction worthy of grandiose stadium show entrances. “Hard Style” begins slowly, with the military march of a rolling snare. But then the guitars come in—one after another—wailing the same line in three-part harmonic glory, until the final six-string enters with soaring bends. It’s downright patriotic for anyone who pledges allegiance to state of rock ‘n’ roll. 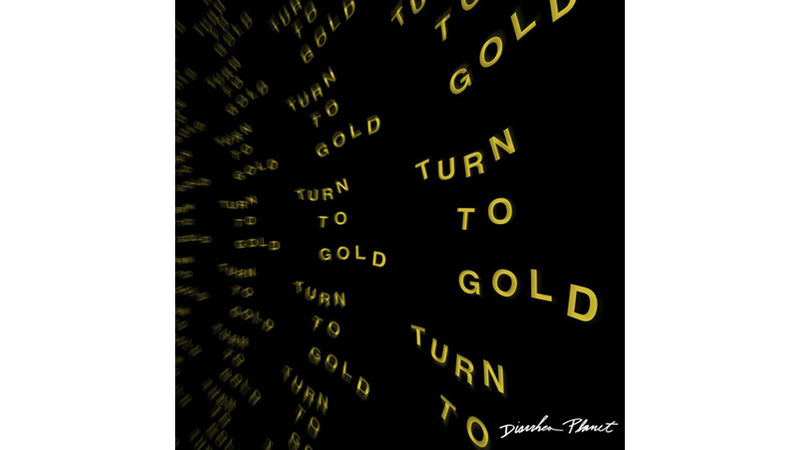 But while much of Turn To Gold rips as hard as “Hard Style,” Diarrhea Planet can’t maintain that initial bombast or intensity for the duration of its third LP. At its mightiest, the Nashville sextet captures its wild live shows in recorded form; it’s hard not to envision people moshing and jumping while listening to the record. Songs like “Life Pass,” Bob Dylan’s Grandma” (illustrated by Benjamin Marra here) and “Ain’t A Sin To Win” (which was, as the album title suggests, pure gold on Late Night with Seth Meyerslast week) all rollick and roil. However, other tracks like “Dune,” “Lie Down,” and closer “Head Band” are some of the slowest, tamest songs the band has ever written. Plus, congregating all of these tracks on Side B contributes to a tepid finish. Yet, writing off Diarrhea Planet as gratuitous is not just wildly unfair; doing so missed the point of the band. When each of the four guitarists is soloing and head banging and falling on his knees, their collective performance is both entertaining and engaging. In fact, the lines between show and sincerity blur on Turn To Gold, and that’s what makes the record a progressive step in the band’s career.